For years people have been jailbreaking their iOS devices to run things that Apple won’t allow, whether it be apps or themes. They’ve never actively done a lot against the jailbreaking community, until now. I’m due to take my iPhone into the Apple Store due to some hardware issues, but of course I was running a jailbroken iOS 4.3.2, so I spent 3 hours trying to restore it. It got stuck in a constant restore cycle. I tried using RecBoot, TinyUmbrella and iRecovery to try and get it out of it but it just wouldn’t work. Turns out that Apple have now updated iTunes to check the hosts file on the computer and if there is an entry under ‘gs.apple.com’ it will put your device into a constant restore cycle. This is because some of the tools used for jailbreaking will add the ‘gs.apple.com’ entry to the hosts file to stop the local machine talking back to the server. Of course it’s simple to remove the entry and restore but for whose who don’t know about this will be stuck with a very expensive paperweight. It does rise some other issues, some people may have very large host files and therefore it will simply take too long and then iTunes will assume the device is jailbroken and put it into the constant recovery cycle. Mike Pan has successfully modified system files on the iPhone 3GS to record HD video at 30fps. The video is recorded at 1080×800 at up to 20Mbps, this is a big improvement from the default 640×480 at 3Mbps. The unusual size is used to keep the video at the right aspect ratio when recording. You can also change the resolution to 960×720 if you so prefer. It does take a little longer for the 3GS to focus and the quality won’t be as good as that on the iPhone 4 but it’s a nice improvement especially if you’re not moving the phone a lot. First of all make sure you have a jailbroken iPhone 3GS on iOS 4.1, then ensure you install OpenSSH and you know your iPhone’s IP Address. Next download the relevant patch files, depending on your resolution prefenrence. Now locate the file N88AP.plist, rename it and add .bak to the end of the filename, this will act as a backup file so that you can revert to the original setting. Now drag the N88AP.plist that you downloaded and put it in the same folder as the original was in. Rename them all and add .bak to the end of the filenames. Now drag the AVCapture.plist, CameraRollValidator.plist, and MediaValidator.plist files that you downloaded and put it in the same folder as you just navigated to. Now just restart your iPhone 3GS and your HD video recording will be enabled. In the last few hours a big disruption in the jailbreak scene with the release of limera1n, the untethered jailbreak from geohot. That’s right the same geohot who left the jailbreak scene after he kept getting pestered by people about jailbreak releases. Over the last 6 months, geohot has been working on the jailbreak for the last 6 months. On the website, over at limera1n.com, it says that it’s unpatchable and that it will work on the iPad, iPod Touch 3G, iPhone 3GS, iPhone 4 and iPod Touch 4G on the firmware 4.0 and above. This jailbreak is in beta and so is very messy and so MusleNerd of the Chronic Dev-Team has said on Twitter to wait for the release of greenpois0n. The limera1n jailbreak is only currently avaliable for Windows but geohot is working on a Mac & Linux version of the software. There have been a few reported issues with the jailbreak so far such as the 3GS new bootrom not being supported. The release comes a day before The Chronic Dev-Teams release of their untethered jailbreak greenpois0n, which uses a different exploit. Currently it’s not known what The Chronic Dev-Team will do as they have 3 options available to them, they can either: not release greenpois0n and save the exploit, release the greenpois0n jailbreak and use a second exploit or use geohot’s exploit and then possibly break the ETA of 10:10:10 10/10/10 GMT. It seems that geohot has done thing on purpose but has released in a sense, an incomplete solution just to spite The Chronic Dev-Team and their efforts. The Chronic Dev-Team are still talking at this point and trying to come to a decision of what to do, the best decision in most peoples opinion would be for them to implement the limera1n exploit and keep the SHAtter exploit for future releases. If your thinking of using the limera1n release please know that the iPhone Dev-Team and The Chronic Dev-Team were not involved in it’s creation and therefore any issues caused by it shouldn’t have to be fixed by them as it’s geohot’s software which he choose to release in beta. I would recommend waiting for the greenpoison release, it may take a few more days but at least you’ll know all the issues will be fixed. I’ll keep everyone updated on the happenings in the jailbreak scene, make sure to check back frequently for any updates. 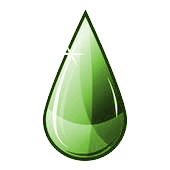 Update: The Chronic Dev-Team have chosed to release the greenpois0n jailbreak tool using geohot’s exploit and not the SHAtter exploit. So today when Apple released iOS 4.1 everyone thought that it’d bring the new social gaming platform, Game Center to all recent devices except the iPhone 3G and iPod Touch 2G. Turns out that Apple is supporting the second generation iPod Touch but still not the iPhone 3G. Not quite sure as to the reasoning, except to make money but I don’t think Game Center requires recent hardware as it’s just a social gaming platform. 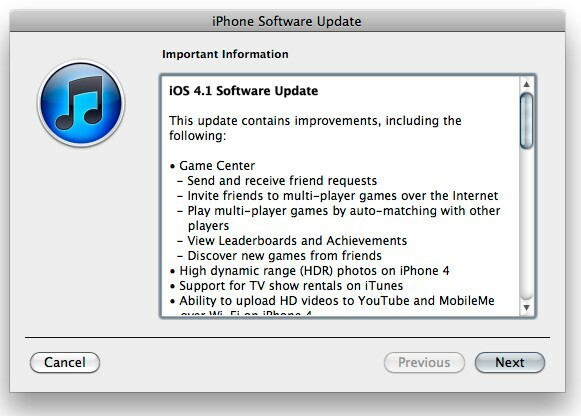 Apple has pushed out the iOS 4.1 update as promised, if your running a iPhone 3G, iPhone 3GS, iPhone 4, iPod Touch 2G, iPod Touch 3G or iPod Touch 4G then the update is available for free to you now. It’s not a huge update but it fixes the iPhone 3G performance issues, Game Center is now activated and proximity sensor and bluetooth issues have been fixed for the iPhone 4. As usual, if your a jailbreak user, or someone who relys on a hacked unlock then do not update yet until the iPhone Dev-Team give the go ahead. Make sure to backup your SHSH blobs whilst you still have the chance as well. Surik, creator of the Cydia store has rolled out a patch that fixes PDF security issues that are fixed by the 4.0.2 update along with ones that Apple hasn’t fixed yet. Seems that if you want to be secure and protected the only thing to do is to jailbreak your device, escpailly if your running a first gen iPhone or iPod Touch. The package can be found in Cydia. The hole in Safari has already been patched by Apple and they are preparing it for an upcoming software update, so make sure you back up your SHSH for your firmware so that you can restore back to it and use the JailbreakMe.com method to jailbreak your device. If your thinking of getting an iPhone 4 you better pick it up soon, because as soon as the new update is out you won’t be able to use the same exploit to jailbreak your phone.